Vince Burke was once the Youth Pastor at PBC. He and wife, Lori, entered the mission field in Manila, Philippines, in 1992 when he became the Chaplain at Faith Academy, a “missionary kids” school. Vince still teaches one class there, but now serves as a pastor-elder with Christ Commission Fellowship, a large church in Manila. In addition, the Burkes have joined First Love International Ministries. With First Love, they develop programs that minister to missionaries, local pastors, and lay businessmen, and organize evangelistic outreaches and retreats into unreached areas of the Philippines and other Asian countries. 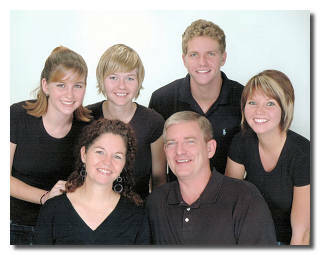 Their family includes four young adults; Kelly, Tami, Vincent III, and Julie.